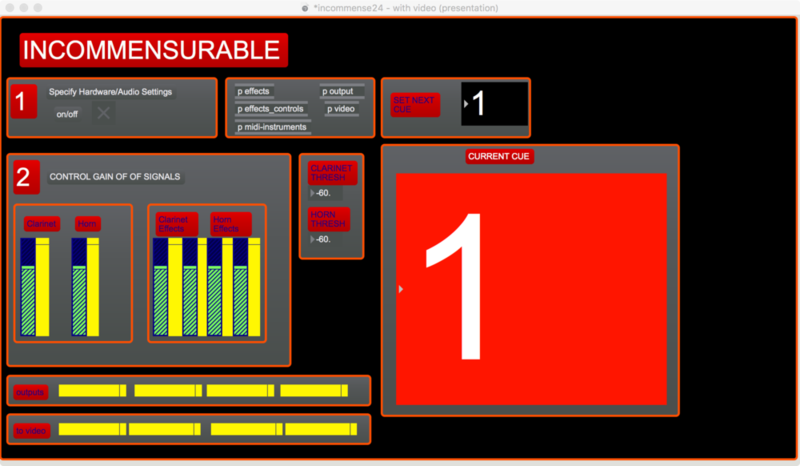 Incommensurable was created with support provided by the Kalamazoo Artistic Development Intuitive, a program of the Arts Council of Greater Kalamazoo. The work abstractly represents the struggle of modern physics to reconcile Einstein’s theories of relativity, which describes the behaviors of gravity and large objects, with quantum mechanics, which describes the behavior of microscopic elements. The horn part represents aspects of general relativity and the clarinet part represents quantum mechanics. The live electronics resonate, extend, and vary the instrumental material in ways that also reflect elements of the two theories. The video provides an additional layer of abstract representation and is controlled by the instrumental performers. In the first movement, Observation, the horn and clarinet material represents each theory and each performer has freedom to improvise. In the second movement, Combination, the horn and clarinet material is put within various systems that unsuccessful attempt to reconcile the two parts. This work features live audio processing and real time visuals. The playback and manipulation of pre-rendered video files is controlled by the clarinet and horn performance. The videos were created in the Processing language and edited in AfterEffects.